Today we get up close and personal with BET’s The Westbrooks star, Bree Westbrook and talk all things fashion, love, and living life as a plus size woman. If there’s one thing that ten seasons of Keeping Up With The Kardashians has taught us, it’s that family dynamics played out on television can be a wildly entertaining thing to watch.On Wednesday nights at 10 p.m. on BET, there’s a new family to keep up with: #TheWestbrooks. Unlike the Kardashians who were relatively unknown before their reality show, the five Westbrooks sisters are already pretty established on social media with a combined following over more than 2 million on Instagram alone. 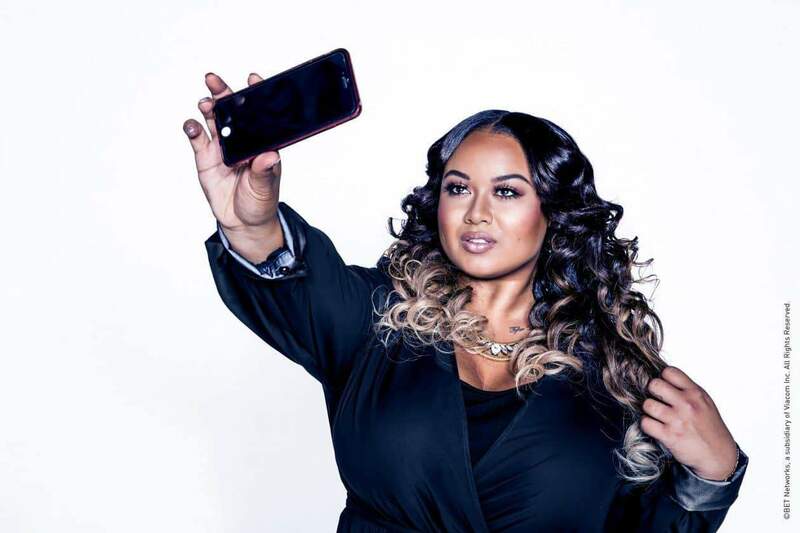 And while watching the show will you quickly tell you their family bond is tight, each sister has a lot to bring individually to the table including middle sister, Bree Westbrooks who is a plus size model looking to use her voice to make an impact in the community. Now becoming Instagram famous seems like a challenge enough for one person to do but for an entire family to utilize the platform to their benefit is a feat. Bree said she really took her cues from her youngest sister, India Love who at the age of 19 has the biggest following in the family with 1.3 million followers on Instagram. Bree says that India Love started out on Tumblr. I found articles as far back as 2012 that discussed India Love as a social media darling when she was still in high school so it’s clear she’s in a position to be giving advice on building your following. It’s clear that India Love’’s advice worked. Bree’s Instagram following sits at 173,000 and growing. I’m sure the new reality show doesn’t hurt either. Bree says that the show, #TheWestbrooks, has been the best thing to happen to her family and while she understands the Kardashian comparisons, their circumstances are different. One of the things you get to witness on the show is how the Westbrooks’ sister navigate their Instagram fame. You get to watch as Bree works with a personal trainer in exchange for promotion and witness India Love audition for a gig with Bellami hair. And all the girls discuss the limitations of their current management situation with their father’s best friend. But the show is not just an inside look at Instagram fame; it’s a look into the heart of a family. On the show you also learn how the dynamics between their protective dad and their significant others. In the first episode, you get to see how India Love reacts to having a pretty intimate photo of herself and the rapper The Game blasted all over the internet. And Bree’s own relationship with her boyfriend of one-year Devon is also put to the test in episode three. As far as having her relationship on television for the world to see, Bree calls it bittersweet. While the first three episodes have definitely had their share of drama, Bree says that there’s a lot of positive moments of not just the Westbrooks sisters but also of her son and her nieces and nephews. Bree also sees the show as an opportunity to tell her own story of how she learn to love herself. Bree is someone who is proud to be plus size. While she admits that she doesn’t really follow plus size fashion blogs, she says that she supports anyone who is “plus size and slaying.” She describes her own style as “all over the place” and dependent on her mood. But from her Instagram and watching the show, it’s clear her style makes a statement that people are drawn to. It’s bold and unapologetic. She wears bright patterns, bodycon dresses and fitted jumpsuits. The biggest reaction that she’s getting so far from the show is that people want to hear more of her story and she says as the season progresses, she will definitely be discussing more about her own self love journey. And the best part of all? Bree is working on her own plus size clothing line inspired by her personal style. Not only will viewers get to watch her process of developing this business on the show, but Bree tells me that she is currently looking for plus size models in California to work with her new line. She says she does not have any specific requirements other than being California-based and plus size. Interested models can contact her directly! You can catch Bree and the rest of #TheWestBrooks every Wednesday at 10 PM EST on BET. Cool News! Plus Size Model Paloma Elsesser is the Face of Alison Lou!